boat which sees heavy use. 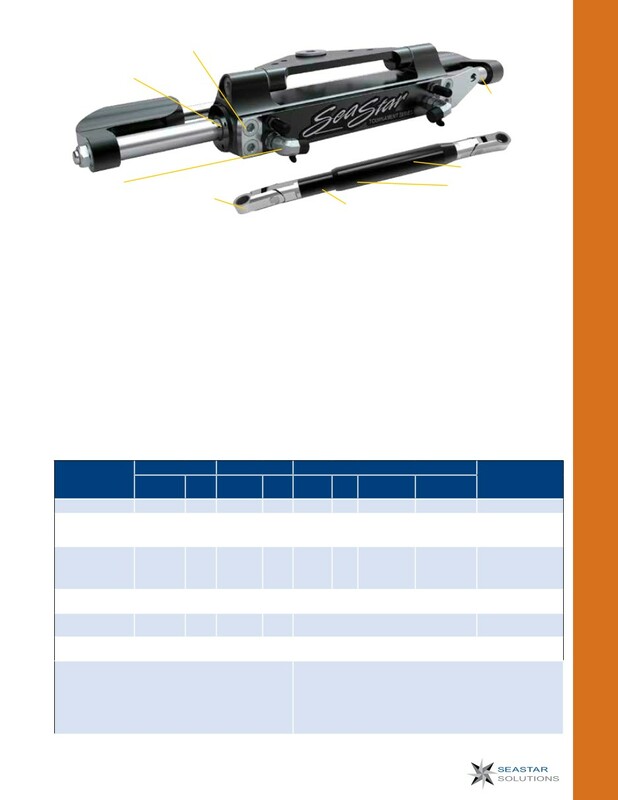 These cylinders and tie bars are application-speciﬁc. • Heavy duty adjustable tie bar (patent pending). ﬁttings which can be easily orientated in any direction. subtract from your nominal engine center to center distance. consult SeaStar Solutions Technical Service. drops greater than 3 inches. IMPORTANT: Each conﬁguration requires a hardware kit and tie bar kit(s), with the exception of the single engine conﬁguration. NOTE: The Kicker Cable Tie bar will ONLY work with SeaStar HC5345-3, HC5358-3 and HC5348-3 steering cylinders.